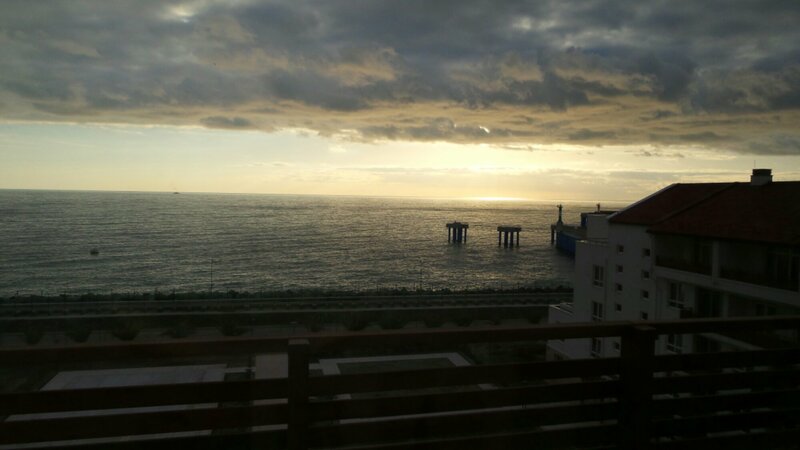 This is the view of the Black Sea from my treatment room in the condo-pretty nice! 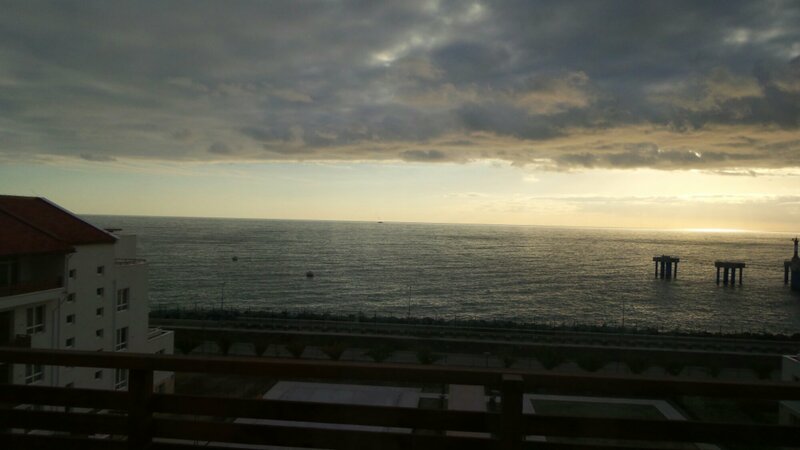 This morning there were 5 large pelicans swimming out there. 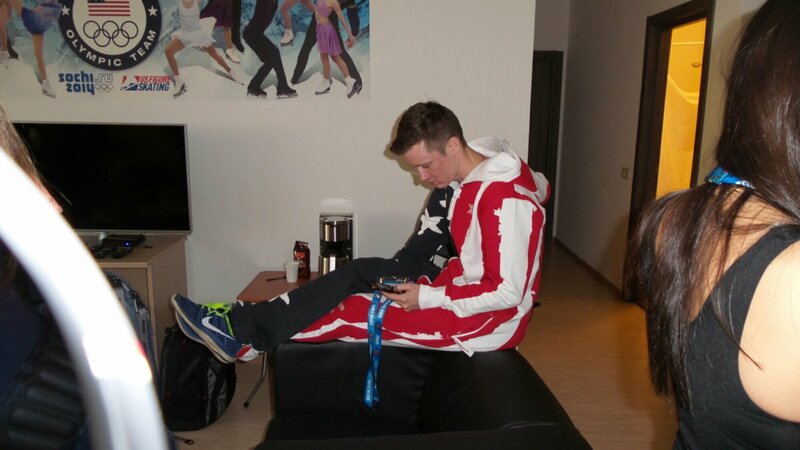 Jeremy in his USA onesie. 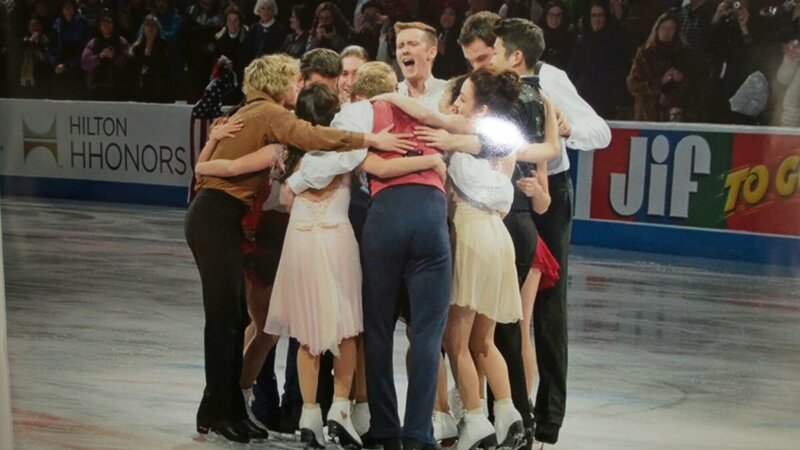 The Olympic team at Nationals (They have this photo up in our common room/meeting room so I took a photo of it)! 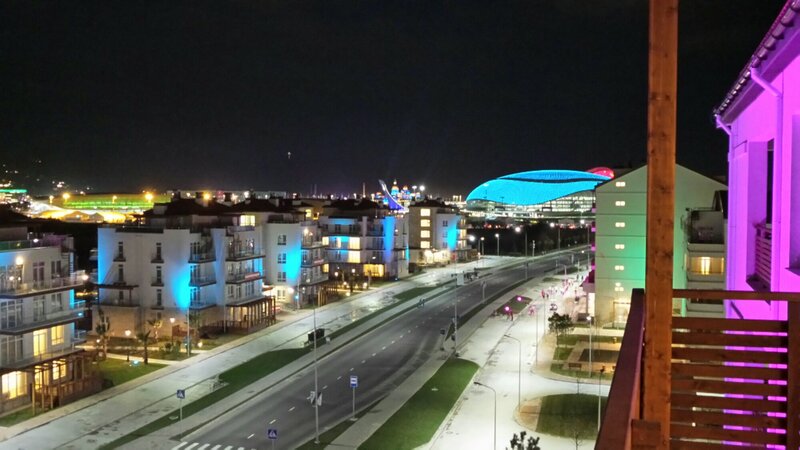 This is the view from my balcony at night. That’s the Bolshoi all lit up in the background, which is the venue for men’s hockey.